TV presenter، Mohamed El Gheity was handed days ago a one-year prison sentence، EGP 1000 pounds for bail and to be monitored for a year over incitement to immorality and contempt of religion after his an episode on his program “Sah Al-Noom” broadcasted on “LTC” satellite channel. Egyptian actress، Mayar El Gheity posted pictures of herself and sister with their father on her official “Instagram” account، was keen to support him and send him a special message during his ordeal. “My father didn’t tell me how to live، he lived and let me watch him do it... #nothingbeatsfamily so proud of u Daddy #prouddaughter #MohamedElghety ❤ My ☝thanks for everyone who called and asked about him، he’s home with us thanks everyone we appreciate it ❤” she captioned. The production company for actor، Ahmed Hatem’s new film "Qesset Hob" (Love Story) has released the film’s trailer on its official “Facebook” page، which is scheduled to be premiered on Valentine’s Day، on February 13. The film is a romance genre، revolves a man، played by actor Ahmed Hatem، blinded in an accident، who receives his fiancée، played by actor Hannah El-Zahed، support who stands next to him in his ordeal، and events unfold. The film co-starring Hannah El-Zahed، Ahmed Hatem، Yasser El Tobgy، Hanan Sulieman، and others. The film is written and directed by Othman Abo Labn. Qesset Hob witnesses the return of romantic genre on the artistic scene once again. Celebrities، fans reactions to Mohamed Hamaki’s new album "Kol Youm Men Dah"
Nogoum Records Production Company debuted on Thursday Egyptian superstar، Mohamed Hamaki new album "Kol Youm Men Dah"، on its YouTube channel. The album also topped Twitter's most trending list in Egypt، as Twitter users hashtags "#Hamaki"، and flooded the platform with parts of the album songs. A number of celebrities had congratulated the singer over his new album such as prominent actress، Laila Elwy، Shaimaa Saif، and Lebanese recording artist، Elissa. 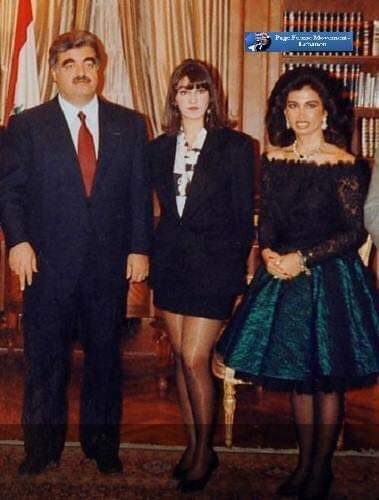 Lebanese recording artist، Elissa’s picture with late with Rafic Hariri and his wife، Nazik Hariri stirred the social media after Elissa retweeted the picture on her official “Twitter” account. Lebanese-born Mexican star Salma Hayek congratulated on her official “Instagram” account director Nadine Labaki for the Oscar nomination of her film “Capernaum”. Nadine Labaki’s film “Capernaum” is nominated for the “Best Foreign Language Film” category for 2019 Oscar. Hollywood is a different place than it was 25 years ago، and that’s just what Vanity Fair wants to show with its 25th annual Hollywood Issue. The magazine’s stunning cover showcases some of today’s biggest stars، including Rami Malek، Chadwick Boseman، Saoirse Ronan، Timothee Chalamet، Henry Golding، Yalitza Aparicio، Regina King، Tessa Thompson، Elizabeth Debicki، Nicholas Hoult، and John David Washington. In the issue، the blossoming talents open up about the entertainment industry today، and the changes they’ve noticed from within. Beyoncé took to Instagram on Thursday to share some fabulous photos of herself taken by none other than her and husband JAY-Z's 7-year-old daughter. In the slideshow، the "If I Were a Boy" songstress wears a multi-colored striped long-sleeve top with matching pants، a mini green fanny pack، with clear heels and green sunglasses. Bey's fun look also matches the circular artwork behind her. "Photo Credit: B.IV،" the mother of three captioned the post، which also includes a silly snapshot of Blue lounging on an urchin-looking bean bag، as well as a close up of the singer's stunning rings.